Fully adapted program to the requirements of the today’s business environment: developing leaders to drive business in a global scenario in constant change and undergoing a digital transformation, with clear values and remarkable ethics. 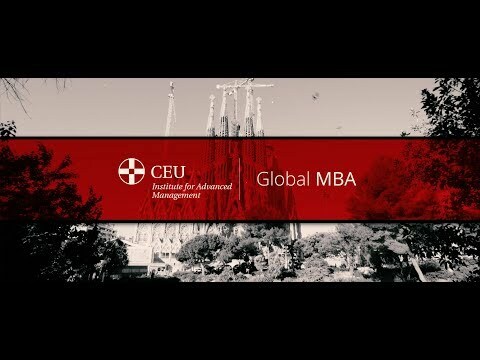 Unique MBA with certification by CEU Institute for Advanced Management + Leadership Essentials Diploma by CCL: CEU IAM Business School (Madrid). Center for Creative Leadership (Chicago). People who lead the new business projects in the digital & global environment, in constant movement, with a deep ethical sense of business. Participants come from more than 30 countries, representing all continents and are a balanced mix of age, gender and work experience (at least two years of professional experience). CEU is the largest educational group in Spain, with over 80 years of experience. It is truly Global and International: Our program takes place in Asia, Europe and North America. Entrepreneurship training held at Babson College in Boston. Babson College is the world’s best institution for entrepreneurship, according to the U.S. News & World Report & the Financial Times. In partnership with RIAM, Japan’s leading business school, and Babson College in Boston, the program provides students with the broad, unbiased perspective necessary to succeed in the business world. The MBA also includes the prestigious Leadership Essentials certiﬁcation from the Center for Creative Leadership (CCL). CCL is ranked 4th as the world’s best institution for leadership education, according to the Financial Times. Our world-class faculty includes trusted voices on issues that are at the intersection of business and academia. Many of its members have proven track records in digital transformation environments. Faculty at the CEU International MBA combine an extensive professional experience with an outstanding teaching career and some of them are members of prestigious national and international research associations and networks. They are also involved at a management level in the world of business which contributes to the theoretical and practical teaching of our students through an intensive tutorial support. Full Professor of Finance at Universidad CEU San Pablo. Head of the Chair “José Barea” at Instituto de Estudios Fiscales (Treasury). Dean of the School of Business & Economics (2011-2015). Director for Doctoral Programs for Latin America (USP-CEU). Visiting Assistant Professor at Boston University (2014, 2016). Topics: banking, corporate finance, social economy and corporate governance. Vicepresident Financial Innovation and Digital Economy Foundation. Co-founder of Ethics & Business Observatory. Member of Boards at several companies. Ph.D Universidad Complutense (1994). Angel Investor since 2012 with a portfolio of more than 20 technology startups. Has gained professional experience as Non-executive Director, CEO and other Senior positions in multinational companies such as Grupo Leche Pascual, Panrico, GB Foods, Renta Corporación, Applus Idiada, Winterthur Group and Pepsico. Mechanical Industrial Engineer and MBA - IESE. Economics and Master in International Management working with ESADE and CIEE. Has gained 20 years of international experience in Marketing and Publicity at Bassat Ogilvy, Ogilvy Mexico, Tiempo BBDO, FCB Publicis. Specializes in bulk consumer products (food products, hygiene products, perfumes), property, health, culture and leisure, public services. MBA, Master in Advanced Studies in Economics Abat Oliba CEU, Postgraduate degree in General Management Harvard Business School. President Global SCM Division Roland DG Corporation Japan, Board Member of Japanese Operations Management and Strategy Association. Professor Operations Strategy, Industry 4.0, at GLOBIS University School of Management Tokyo. Professor at the University CEU Cardenal Herrera. Visiting professor and researcher in Integrated Marketing Communications at IONA College NY. Economist and chief marketing officer at Balnearia, CrespoGomar and Winterthur. For over 20 years has combined teaching with a range of management positions in marketing and business development projects in a range of sectors, including retail, communications and franchising. Professor of International Business at the Research Institute for Economics and Business Administration at Kobe University. Also lectures on mergers and acquisitions at Ritsumeikan University and Osaka University of Economics. Visiting Scholar at Harvard University for three months. M&A topics, especially in human resource management issues. Research and consulting activities at: Mitsubishi Heavy, Hitachi and Siemens. Managing Director of UBS Investment Bank, Head of Equity Capital Markets and Corporate Solutions for Europe, Middle East and Africa and member of UBS CCS executive committee in EMEA. Double Degree in Business Administration and Law from the Universidad Pontificia Comillas. His 20 year carrer in investment banking in Bank of America Merrill Lynch and UBS, aiding Corporate and Financial institutions to raise more than US$500BN in Europe, US and LATAM. Accenture Strategy, Managing Director, Talent & Organization Iberia Lead.Faculty “Making Change Happen Program” IMBA at IE Business School. Professor “Human Resources Strategy and Metrics” at Garrigues Business School. Law degree from the CEU Luis Vives, Madrid. Postgraduate degree in Marketing from Rice University, Houston, Texas. Senior Management Program at IESE. Specialist in narrative strategy, innovation methods and creative entrepreneurship. Her professional carrer includes working with foundations along with the governments of Spain, the United States, and the European Parliament to design creative programs and strategies for solving crises in public health. Degree in Philosophy, Political Science and Strategic Communication from the University of Texas. President of Lead To Change, a consultancy focused on strategic innovation for businesses, governments and universities based in Barcelona, Boston and Santiago de Chile. Former CEO of several companies in different sectors and has had responsibility in multiple projects in the field of public administration and universities. Academic Background: Universitat Autònoma de Barcelona, ESADE, IESE, HAAS Business School (UC Berkeley). President of Barcelona Drucker Society. Has been Managing Director and General Manager at several multinational companies, among others: Airwell, Terra Lycos, Roca, Agfa, Philips. Professor of innovation and quality management at business schools in Spain and Latin America. Author of several books about innovation management and Six Sigma. PhD in Telecommunications Engineering and MsC in Business and Organization Management from Polytechnic University of Catalonia. Six Sigma Master Black Belt. Public speaking through theatre professor at ESADE. Public speaking coach for politicians and managers (clients: Basque Government, Andorra Government, Boheringer Ingelheim, BBraun, La Caixa…). She developed her international marketing career in P&G, Reckitt Benckiser and PwC in Milan, Paris, Luxembourg. At the same time, she developed her passion for theatre taking Drama studies at Nancy Tuñón School and Jaques Delcroze, Geneva. She has created her own theatre production company. Degree in Business Administration and MBA from ESADE. 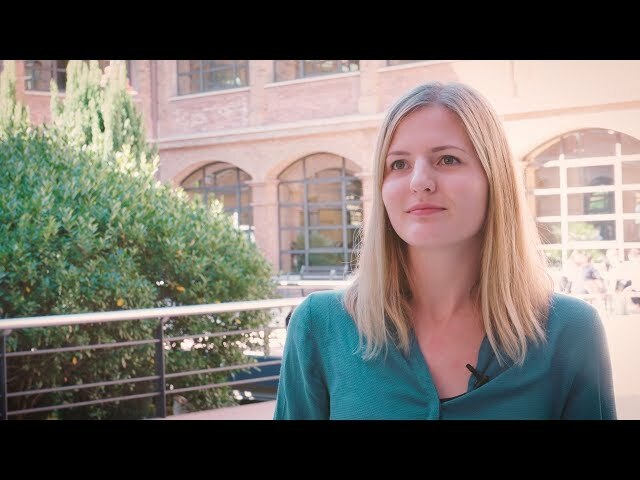 CEMS Master from HEC Paris. Head of Skill Development in Procurement at Novartis. 20 years´ experience in procurement in several management roles within Retail, Automotive and Healthcare sectors. At Faurecia and Novartis he was in charge of dramatically changing and improving the Procurement function post. He is a mentor, professor in several universities and business schools, blogger and author. Holds a degree from the French Business School of Lile - SKEMA and master’s in procurement from the MAI – KEDGE – Bordeaux Business School. Partner and Managing Director at Boston Consulting Group with more than 20 years of experience in strategy consultancy throughout the world. He has developed his profesional carrier supporting global companies in all types of strategic decisions such as new markets entry strategies, growth strategies, post-merger integration and value capturing strategies for Global Media, Telco and Tech companies. BA in Economics and MBA - IESE. Senior Human Resources professional with more than 25 years´ experience, mostly in international environments. Lead the function in different sectors, among them mass consumption (PepsiCo, Bacardi Ltd and CFG), Steel (Arcelor Mittal) and Pharmaceutical (Almirall). Professional career includes a wide range of experience supporting significant transformative business processes. Has lead international HR teams both in Europe and USA. Bachelor’s degree in Business Administration from the ESADE. An active entrepreneur, creator and founder of Dinube, the digital payment network that started up at MIT. Prior to that, Jonathan held senior roles at two other software startups, one based in Barcelona and the other in Montréal, Canada. B.A: (Hons.) The University of Sheffield, MBA in Innovation and Global Leadership from MIT Sloan School of Management (USA). Professor of Operations Management at the Graduate School of Business Administration, Kobe University. He was a faculty member in the Department of Management at the University of Texas and visiting Associate Professor at the Wharton School. Bachelor and Masters´ degree in applied mathematics and physics from Kyoto University, gaining his PhD from MIT. Research and Consulting activities at: IBM, DELL, Motorola, Frito-Lay.